M6 West Midlands northbound severe disruption, between J10 for A454 and J11 for A460. M6 West Midlands - One lane closed on M6 northbound between J10, A454 (Wolverhampton) and J11, A460 (Cannock), because of a broken down vehicle. Traffic is coping well. M42 West Midlands southbound severe disruption, at J5 for A41. M42 West Midlands - M42 lane blocked on exit slip road southbound at J5, A41 (Solihull), because of a broken down vehicle. Traffic is coping well. M40 Warwickshire northbound severe disruption, between J15 for A46 and J16 for A3400. M40 Warwickshire - Slow traffic on M40 northbound between J15, A46 (Longbridge Island) and J16, A3400 (Henley In Arden), because of a rolling road-block and animal transfer between horseboxes. M40 Warwickshire southbound severe disruption, between J16 for A3400 and J15 for A46. M40 Warwickshire - Slow traffic on M40 southbound between J16, A3400 (Henley In Arden) and J15, A46 (Longbridge Island), because of a rolling road-block and facilitating animal transfer between horseboxes. M6 West Midlands southbound severe accident, between J6 for A38 and J5 for A452. M6 West Midlands - Three lanes closed and queuing traffic on M6 southbound in Birmingham between J6 A38(M) Aston Expressway and J5, A452 (Castle Bromwich), because of an accident. 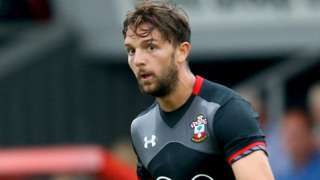 West Bromwich Albion sign England international striker Jay Rodriguez from Southampton for a fee of about £12m. M6 West Midlands southbound severe disruption, at J6 for A38 affecting J7 for A34. M6 West Midlands - M6 lane closed on exit slip road and very slow traffic southbound at J6 A38(M) Aston Expressway, because of a vehicle fire. Congestion to J7, A34 (Great Barr). M6 West Midlands southbound severe accident, between J10 for A454 and J9 for A461. M6 West Midlands - One lane closed on M6 southbound between J10, A454 (Wolverhampton) and J9, A461 (Wednesbury), because of an accident. Traffic is coping well. M6 Staffordshire southbound severe accident, between J10A for M54 and J10 for A454. M6 Staffordshire - One lane blocked and queuing traffic on M6 southbound between J10a M54 and J10, A454 (Wolverhampton), because of an accident. M6 Warwickshire northbound severe accident, between J3 for A444 and J4 for M42. M6 Warwickshire - Stationary traffic on M6 northbound between J3, A444 (Nuneaton) and J4, M42 (Coleshill), because of an accident and a rolling road-block. 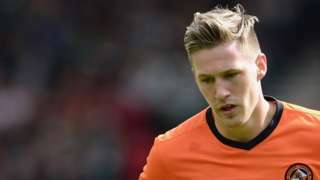 Championship club Wolves sign Konyaspor defender Barry Douglas on a two-year deal for an undisclosed fee. 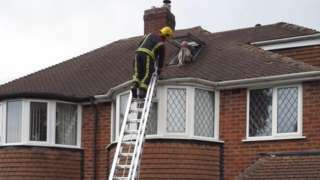 It is believed Nala the husky got on to the roof after climbing on furniture in the loft of the house. 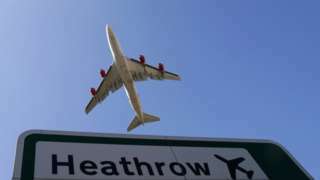 The men from Leicester and Birmingham are detained having landed on a flight from Turkey. M40 Warwickshire - One lane closed and slow traffic on M40 northbound between J15, A46 (Longbridge Island) in Sherbourne and J16, A3400 (Henley In Arden) in Warwickshire, because of barrier repairs. M40 Warwickshire southbound severe accident, between J16 for A3400 and J15 for A46. M40 Warwickshire - Very slow traffic and one lane closed on M40 southbound between J16, A3400 (Henley In Arden) and J15, A46 (Longbridge Island), because of an accident. M6 West Midlands - Very slow traffic on M6 southbound between J10, A454 (Wolverhampton) and J9, A461 (Wednesbury), because of an accident. He is detained on suspicion of attempted murder after two street shootings. 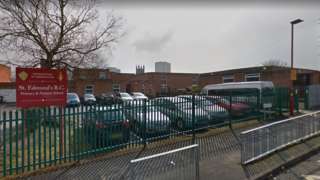 Video caption: Was lawn tennis born in this Birmingham back garden?Was lawn tennis born in this Birmingham back garden? According to sport historians, it is a quiet spot in Birmingham that made a racquet. M5 Worcestershire northbound severe disruption, between J4 for A38 Bromsgrove and J3 for A456 Halesowen. M5 Worcestershire - One lane closed on M5 northbound between J4, A38 (Bromsgrove) and J3, A456 (Halesowen), because of a broken down lorry. Traffic is coping well.